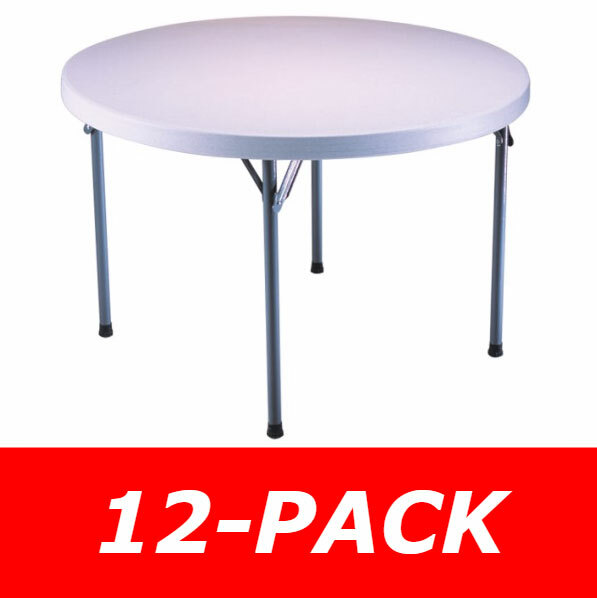 Product: Lifetime Round Tables - 2960 46 inch Round Table - White Granite 12 Pack. 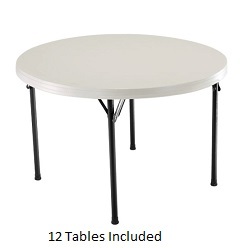 Free shipping for these Lifetime 46 inch Round Tables when shipping to the lower 48 United States. 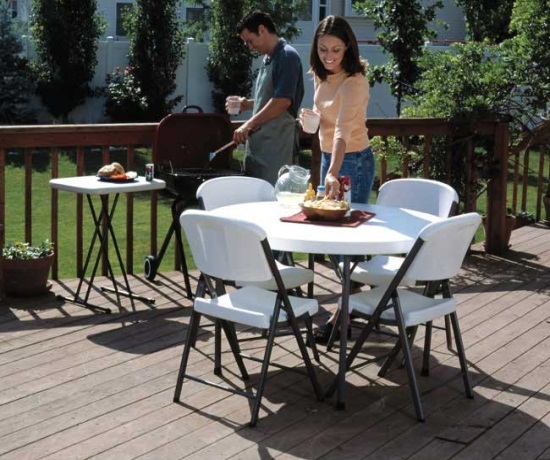 Lifetime Round Tables are Ideal for Home, Office, Banquets, Crafts, Outdoor Activities and More! Lifetime 46" White Granite Round Table customer review comments and Feedback from our eBay and website customers below. We have had the tables for three years and they are still in perfect condition, despite heavy use 3-4 weekly. Shipping deal for the pallet of 12 was amazing. Will definitely use you again if we need to! These tables are great. Delivery was easy and the company was wonderful. 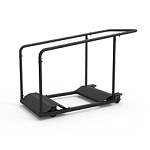 Tables were great quality, good prices and shipping was fast friendly and I was overwhelmingly happy with this purchase. 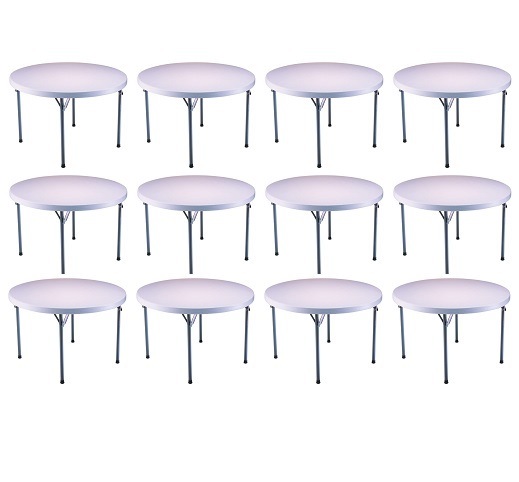 Q: Can these be modified to accommodate an umbrella hole. It appears that you could drill out a hole with a hole saw after purchasing? 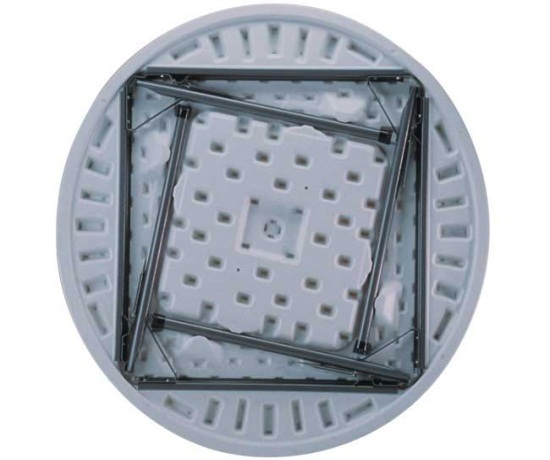 A: You could modify it to have an umbrella hole. Q: Were these once 48" tables? They are now 46"? A: Yes, that is correct. 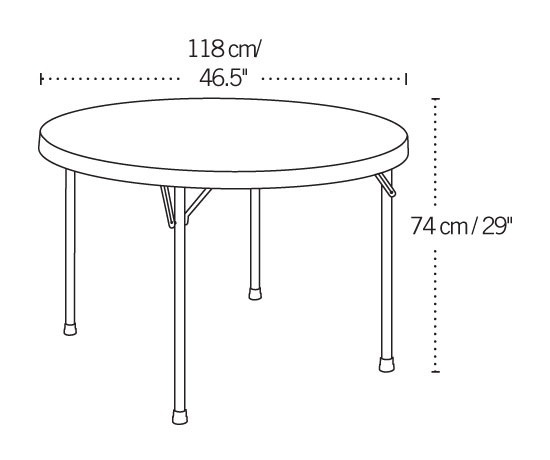 They were previously advertised as 48" tables, but they were changed to 46" since there is about a 2-4% variance in the size as the tables dry in the blow-molding process. 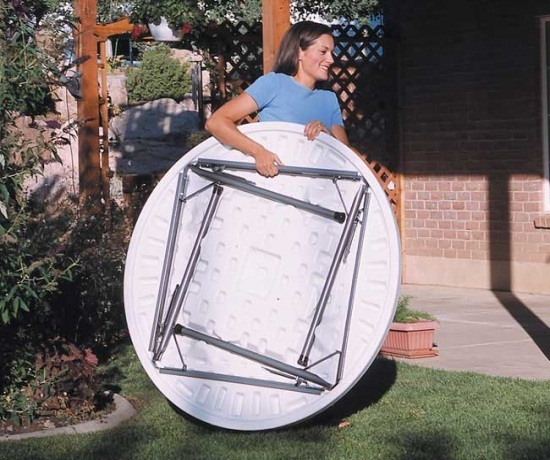 Dimensions: 48" x 48" x 32"